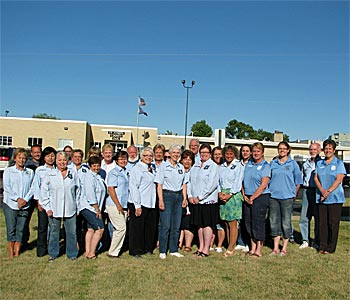 The Victim Service Unit was formed in 1990. VSU is a part of a state wide program trained by the Michigan Sheriffs Association. We are one of the 45 counties in the State of Michigan that have this service. Our unit is a group of state trained volunteers who are available 24 hours, 7 days a week, 365 days a year to assist police and emergency personnel with the victims and/or family of victims at the time of crisis. This group will provide short term comfort and support to victims which will relieve a tremendous burden off emergency personnel. At this time there are 31 volunteers active in the unit. This group is available to all area police, fire departments as well as the area hospitals and ambulance personnel. If any emergency personnel feel that they would like us to help a call is made to 911 and they will in turn page the on call team out. Types of situations that we respond to are homicide, suicide, fatal or serious injury car accidents, drowning, farm accidents, criminal sexual conduct cases, death by natural causes, SIDS deaths and elder abuse.